I’m excited to be back today with another fun printable, this time celebrating back to school! We started a few weeks ago here in Indiana, but I know a lot of kids are just now going back, or still enjoying summer break for a few more days. Lucky kiddos! One thing I really enjoy sending to school with my boys is a cute note in their lunchbox, with a small piece of candy attached. It is a special, sweet treat from me to them to enjoy (hopefully) after they eat their lunch. 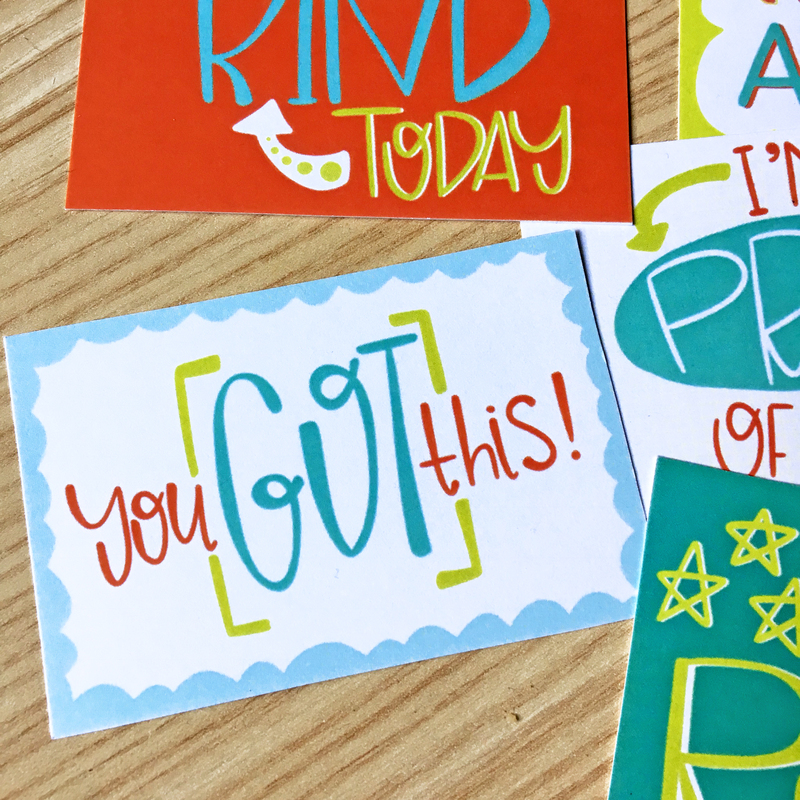 So with that in mind, this month I created some encouraging lunch box notes! There are 9 different phrases in happy colors. 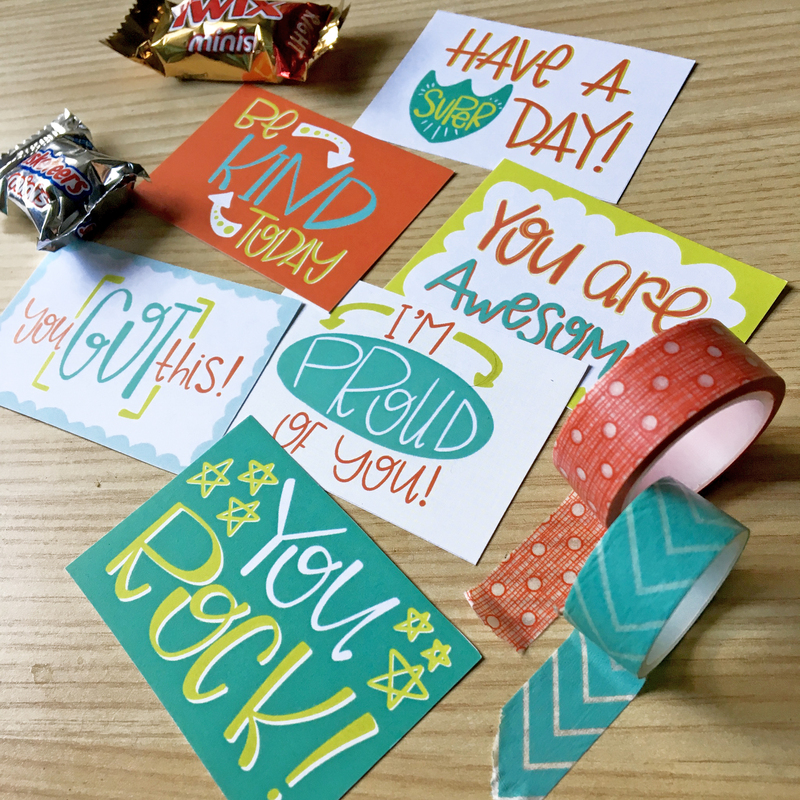 You can use a piece of washi tape to attach a mini candy bar, or write a little pep talk on the back. Tuck it into their lunch box, front of their backpack, a book, or leave it where they’ll find it when they wake up in the morning or come home from school. 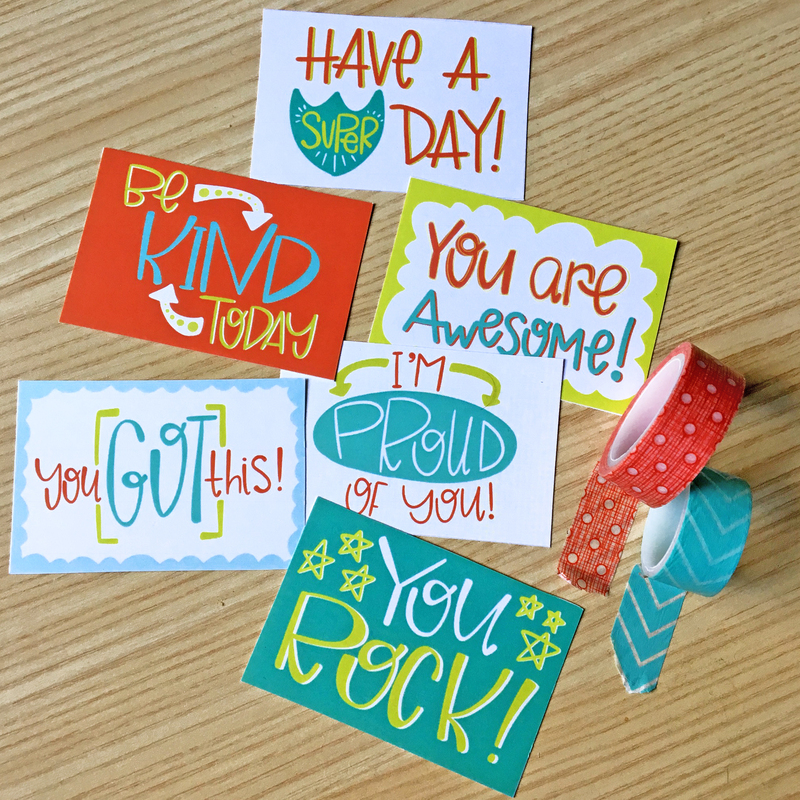 Such an easy way to give your kids an extra dose of confidence & inspiration during the school day! Hope you enjoy these and have a stress-free start to the school year! Keep up with my latest artwork over on my Instagram @mandyfordart, and you can also grab free printables when you sign up for my email list over at mandyford.co!